Below is a “Special Reprint of Petroleum Intelligence Weekly for The Global Barrel”–I was quoted in three EIG articles last week. A special thanks to James Bourne, Energy Intelligence’s Senior Editor for Latin America. James is moving on to new challenges in Singapore His frequent calls with probing questions and insightful analysis of Venezuela and Latin America will be sorely missed here!! Una buena despidida – mucho éxito en todo! Till now, commentators have looked primarily at the obligations of the Bolivarian Republic of Venezuela (BRV) to send oil to China to repay Beijing’s huge loans. However, there are major changes afoot in the structure of this relationship, no matter who succeeds Hugo Chavez. Developments on the ground in both countries show an energy infrastructure buildup will soon bring significant cross-border vertical integration. 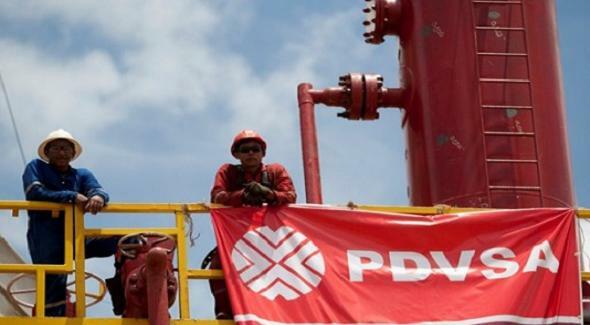 Soon, Venezuelan oil will not be shipped to China simply to fulfill financial-and-contractual obligations, but also for locked-in infrastructural reasons. All indications are that the Chinese side is actively fulfilling the obligations it entered into ca. five years ago (esp. 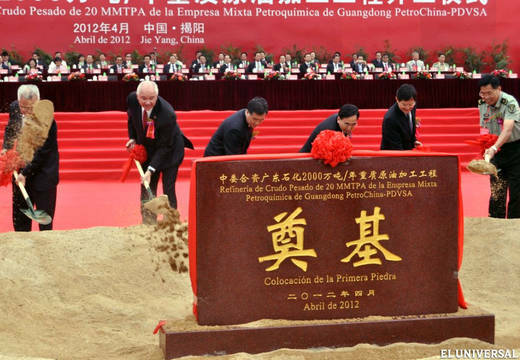 December 2007) to build oil tankers, pipelines and refineries in China in order to import and process Venezuelan heavy crude. 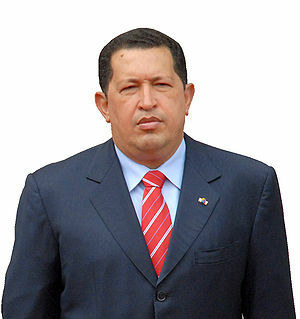 Succession Crisis #2: Chavez’ non-inauguration: Why violate the “Chavez Constitution”? The Supreme Court of Venezuela has just made a rather strange decision. Rather than deciding between the two possible scenarios described in the constitution for the case when a president-elect is unable to take the oath of office on the prescribed day of 10 January, they have instead pronounced a third scenario proposed by leaders of Chavez’ party: There is “no temporary absence” of Chavez, and there is “administrative continuity” (i.e., that there is no new administration since he was the previous president). The decision by the TSJ [press conference 9Jan 2012] seems particularly amazing as it rejects the constitutional option of declaring Chavez “temporarily absent” that would have kept Chavismo in the presidency without an election for 180 days. This decision is just as transparently un-constitutional and invented as the rationals of the right-wing Honduran military and congress in 2009 for throwing the president out of their country in his pajamas, rather than pressing whatever grievances or charges they had against him within the framework of the constitution. There is a habit growing in Latin America of “democracies” being unwilling to fight out political crises within the sphere of the constitution and the nation’s institutions.